I’ve done a lot of things to grow my business, but I thought it would be helpful to narrow down the top 10 things that had the biggest impact on my business success and my overall happiness factor, too. #1. I Don’t Wait For Perfect. I start before I’m ready. I jump right in. I schedule it, I experiment with it, I improve it….and I accept that whether I like it or not, in order to reach my full potential, I have to get out of my comfort zone and be brave enough to push through fear….over and over again. I force myself to try new things. I understand that as a business owner and floralpreneur®, I will try somethings that might not work out. I know I have to “put myself out there” and DO IT NOW….because the sooner I start, the sooner I can get the experimenting and trial & error out of the way… and then, I’m one step closer to “perfect”. You’ve never seen a bumper sticker that says, “Perfect happens.” Perfect doesn’t happen. It takes a ton of work and persistence to get closer and closer to your own personal brand of “perfect”. If you don’t start where you are now, you’ll never get where you’re going, right? !…..so start before you’re ready and don’t let a fear of “not being perfect” get in the way of reaching your potential. Hosting livestreams in my Facebook group! I couldn’t wait until I had enough money or time or training to get started…. And now, I’m SO much better at all of the above than I was in the beginning….and the main reason I’m better at these all things is because I pushed through fear of being “less than perfect” and just got to work. Everybody has to start somewhere. And perfect takes practice. Done is better than perfect. Nobody gets “good at blogging” or hosting livestreams without actually putting themselves out there to write some dang blog posts and push past the fear of what might happen when you’re live on the air! Remember: If you wait until it’s “perfect” before you finally announce it, release it, sell it, start it, get known for it….then you’ve already waited too long! #2. I Double Down On Customer Service. I decided a long time ago to focus on delivering a first class customer service experience. It doesn’t matter if you’ve been in business for 3 years, 3 minutes or 3 decades… there’s nothing that defines your brand more than the experience you create for your customers. We cannot forget about the love of the client. I like to say that I deliver customer service with style, grace and chutzpah*. *chutzpah noun. chutz·pah \ˈhu̇t-spə, ˈḵu̇t-, -(ˌ)spä\: personal confidence or courage that allows someone to do or say things that may seem shocking to others. Create a better customer experience! I also set boundaries & rules for my business. Boundaries require that you anticipate problems and learn from experience. All of your actions create your customer service experience and each is a component in your brand’s reputation. I’ve created systems for my client management that feel like outstanding service. Increase my INCOME by stating minimums clearly so clients say YES to proposals, no questions asked! Pro Tip: Replying promptly is half the battle in the age of online “everything”. I strive for prompt e-mail replies, prompt phone consultations and prompt proposals so that I often go from initial inquiry to deposit in 10-14 days. How To Write Proposals That Sell. “…It’s the best investment I’ve made in my business and has been an incredible value. #3. I Pay Myself First. Turning a profit allows me to keep doing the work I do best! This is why it is so important to price with confidence. I’ve always made money in my business. Even when I barely had any “business” to speak of, my part-time flower gig turned a profit (like, when I was working out of the kitchen in our 2nd story apartment and only had a handful of weekly business accounts because I still hadn’t figured out how to book weddings!). I learned in one of my accounting courses in college that the first rule of business is to “pay yourself first”. In real life, however, I’ve learned that a lot of small business owners missed this important lesson and seem to pay everyone else BUT themselves…..and because they love their business, sometimes they let this go on for years (and years). You should always pay yourself first. 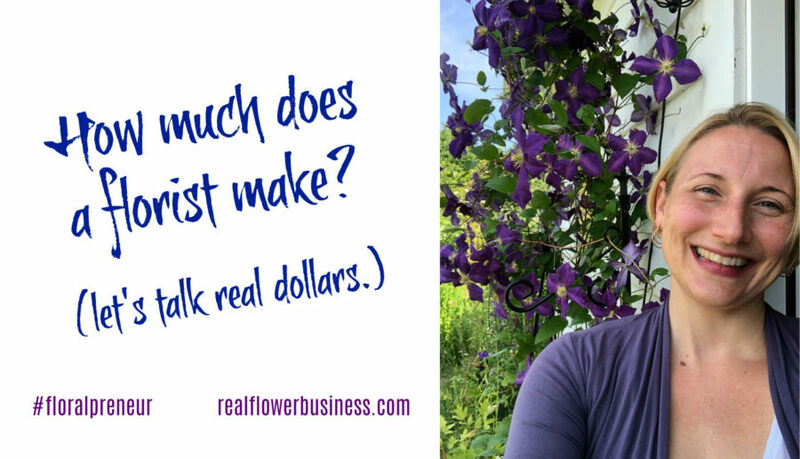 I never waiver on my pricing because I follow the same Flower Math Formulas I learned in several flower shops.and by doing so I’m able to maximize my profit margin on the cost of flowers and supplies. By maximizing my profit, I get to keep more money for myself once all my business expenses are accounted for. Pro Tip: You don’t always have to increase your sales to make more money. The goal is to make 70% (or more) on the cost of flowers & supplies. All additional expenses come out of this 70% profit….this is why it’s so important to maximize the margin by following industry standard markups! Don’t underestimate the value of your time and expertise. 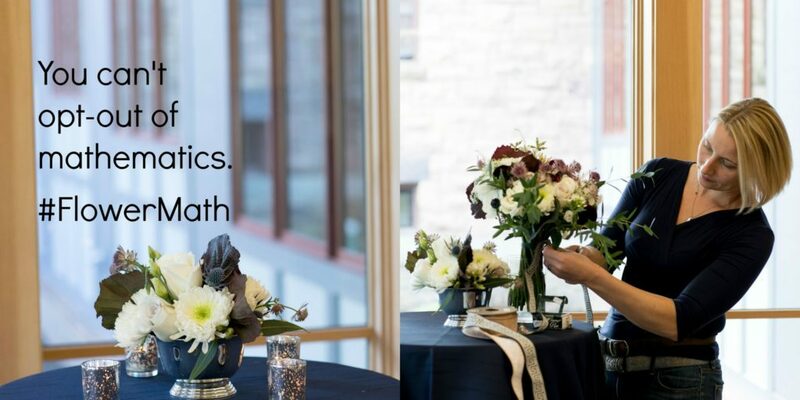 If you’re less than 100% confident in your pricing & profitability, my online course, Flower Math, teaches you easy-to-follow formulas for pricing flowers and supplies and also shows you how to keep more of the money you’re already making by avoiding overbuying! From industry standard mark-ups and how to apply them to recipes and wholesale ordering, plus 5 real weddings worth of sales, orders, recipes & real profits—I take you behind the scenes to show you how I turn a profit in my floral design business. Click HERE to learn more about Flower Math. “In one wedding I felt more confident in my pricing & made my money back on the purchase of the class. #4. I quit my “other jobs” to do flowers full-time. I started my business on a wing and prayer by stitching together seasonal work and a few weekly business accounts. and even worked for a landscaper…. Between ski school in the winters and the flower farm in the summers, I was able to “make it work” as I grew my part-time wedding biz, but nothing beats being my own boss. Full-time. It was a big, scary move to decide to stop working for others so that I could devote my full attention to growing my business. It felt risky, but it was a necessary risk because in order to follow my passion and build a bloomin’ business, I had to take a leap! It took me a few years to finally find the courage to quit my other jobs. It was important to me to be able to generate a certain income level before I could justify quitting. I wanted some proof that my business wasn’t just a floral fantasy, by establishing a viable venture. Sometimes I felt wimpy for not taking the leap sooner….other times I was grateful the I didn’t have the pressure that comes with relying on seasonal work as my sole income source! If you’re not sure if you can actually quit your side-hustle…or you’re wondering if you’re on track with your current income in your floral biz, Click HERE to watch my live chat: How much does a florist make? #5. I Built My Brand On Quality. I was lucky enough to learn on the job in several flower shops before starting my own business. I actually started working in the floral biz at the age of 16; I’ve been a florist all of my life! And one of the most important lessons I learned over and over again is that prioritizing quality over quantity is the best way to build a niche brand. I’ve seen shops struggle to push quantity out the door and usually quality suffers because of it. In our line of work, where time is of the essence, sometimes we have to “crank ’em out”….and while that may be the way florists push through holidays and busy seasons, it’s not easy to sustain a “high volume” floral business all year round. If quantity isn’t the target, then the logical choice is to build a reputation on quality: provide high value, great service, fresh product, prompt attention and constantly aim to knock it out of the part! By putting quality above all else, you can establish your own style of work, based on parameters that you define….and the people who appreciate the unique quality you bring to the table will continue to seek you out….because a quality brand is always worth seeking out! Your brand isn’t your logo…or the number of followers you have on social media. What you deliver to your customers is what determines your brand, which is why it’s essential to always lead with quality if you want to have a long-lasting business. I’ve spent years practicing and developing the voice of my brand in order to lead with integrity and attract ideal clients. You don’t need to be a branding expert to have a good brand, but you do need to dig deep and do some hard work to understand what it means to have a good brand and develop your brand-ing to work for your unique business goals. People are willing to pay you more, walk farther, book earlier, wait longer, for a chance to experience a quality brand. Click here to read more about how I find “the right clients”. #6. I Made A Website My Customers Love. One of the most important things I’ve invested my time and money in is creating a website that reflects my brand and speaks directly to the heart of my ideal clients. When I started my business in 2002 I had no idea how much time I’d spend learning how my website works, but sure enough, between my blogs, updating photo galleries, and my deep desire to tell my story authentically so the right clients can find me, well, I’ve gotten pretty good at updating my own site. By taking control of blogging and regularly updating my website, I used my platform to develop the voice of my brand. My website functions as a tool that both attracts and serves my ideal clients. Which comes first, a better website or better clients? Well, that’s not easy to answer, but a great website certainly can’t hurt, right?! I mean, think about it…. Your website is your online storefront! It’s the most powerful way to engage your potential clients and show the world what your brand is all about! Chances are it’s the first point of contact with customers. A less-than-stellar website presence is a lost opportunity. An excellent website should be one of your sharpest sales tools. And it isn’t just about looking pretty. Your website needs to do more than “look good”, it should actually “do work” for you…because if it doesn’t help you pre-qualify and direct your customers to the content they need to see, you’re missing an opportunity to connect and make a sale. Pro Tip: You’ll update your website multiple times over the life of your biz and in fact, it’s a good idea to visit your website often to employ new branding strategies so that you can attract your ideal customers. If it’s been more than 6-10 months since you updated your site, it’s time to do some updating! Do your customers LOVE your website? Lead clients through the pages you most want them to see? Help you prescreen clients for style and budget? If you didn’t reply with a resounding yes to all of the above, it’s not too late. You can make some simple changes to start building an awesome website! #7. I Plan For Success. I started my business without a plan. 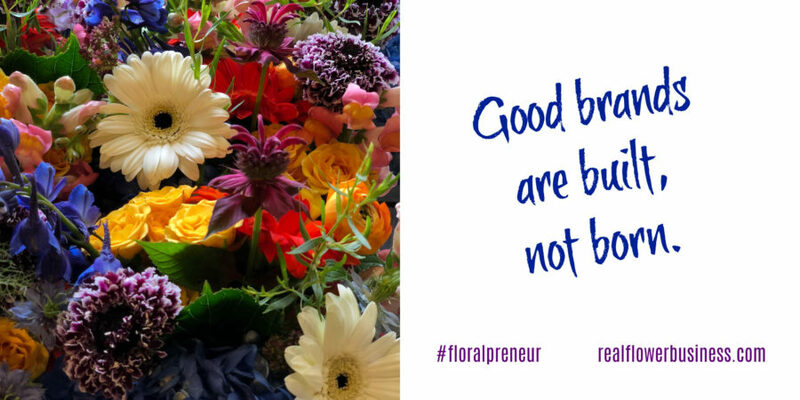 I trained in flower shops so I “knew what I was doing” (mostly, kinda), but as far as an actual business plan, well, that seemed way to serious for my side-hustle…. But then, a few years into my business I had an opportunity to apply for a $10,000 grant and part of the application process required that I include portions of my business plan! I didn’t have a plan, yet, but I had to put one together ASAP. I was intimidated by the idea of writing a business plan at first, but once I got started I found it was incredibly clarifying to write out my plans for the future of my business while also taking the time to document where my business was right in that moment! When’s the last time you wrote a business plan? Was it 5 years ago? 10 years ago? Last week? Because you can’t move forward if you’re following an outdated business plan. What strategies are you employing to reach your goals? If you need some help getting starting with some business plan basics, check out my Business Plan Jumpstart! This is a quick, easy to follow 8-page pdf that you can download to get your biz plan in writing as well as a video of a live chat to help walk you through the pdf! And it’s just $20. Click here to get it! I cannot stress this enough: It doesn’t matter what you charge, if you overbuy! In addition to following industry markups & design fees that I teach in Flower Math, I only buy what I need. I have a profit goal, but I don’t have a “spending goal”; I only buy the number of stems I need to fill my orders to value. When I started my business in the spring of 2002, I thought I should “build an inventory” of vases, rental items, containers, etc….ya know, like a flower shop!…But I learned pretty quickly to only buy what I need. At this point in my business, I’m not interested in building up inventory. I don’t need inventory. If I need something for an event, I can buy it for that particular customer and add it to my inventory once it’s already been fully paid for by the client. Since I take a deposit before buying any flowers & supplies, I don’t have many out-of-pocket expenses (which is super helpful when you run a business on a shoestring budget!) and I can ensure my 70% profit margin on every order I sell if I don’t overbuy. I also don’t overspend on things like photoshoots and online advertising. However, I do spend money on accountants, lawyers, quality footwear, and massage therapy! #9. I Never Stop Learning. I always appreciate an opportunity to advance my knowledge and learn new tricks. One of my favorite ways to learn is by attending hands-on workshops and business seminars, but I couldn’t always afford to invest in learning new techniques. I first started exploring what it means to elevate my brand and attract the right customers by absorbing as many free blog posts as possible and seeking out experts that my favorite bloggers recommended. One business guru linked to another and another until I developed a small nexus of business freebies that informed and inspired. I took my first “leap of faith” by purchasing an online course about running a business with integrity and heart and I was on fire with new energy, inspiration, and ideas as I worked my way through the worksheets and brainstorming sessions in that course. The next big move I made was to venture to NYC for a conference called Selling Your Soul with Danielle LaPorte and Marie Forleo at the Helen Mills Theater where I spent the day surrounded by strong, empowered female entrepreneurs who had innovative —and in some cases life-changing—products or services to unleash on the world. And then, I sought out even more. I’ve continued to study and practice what it means to find ideal clients and hone the voice of my brand and I share everything that I’ve learned and practiced over the years in my course, The Art Of Good Business. I found myself back at the Helen Mills Theatre when I attended my first Chapel Designers Conference in NYC. It’s inspiring to learn from accomplished designers and peers in your industry. Some of the most influential and inspiring floral designers I’ve learned from include: Holly Chapple, Hitomi Gilliam, Francoise Weeks, Ariella Chezar, Susan McLeary, David Beahm and one of the nicest humans on the planet, Gregor Lersch. I try to regularly attend conferences lead by other industry leaders with integrity brands which help inspire me to build my business even better. I know I am always learning, striving for improvement and moving closer and closer to my very best version of me. Investing in my business education has paid off. It’s been worth the time and money I’ve spent….and continue to spend….because every year is a learning year! I still make time for as many free business webinars as I can. Whether the topic is on Facebook Ads or building an e-mail list or a design tutorial on YouTube, I seek out any knowledge that might push me closer to my goals. Every year is a learning year in business. 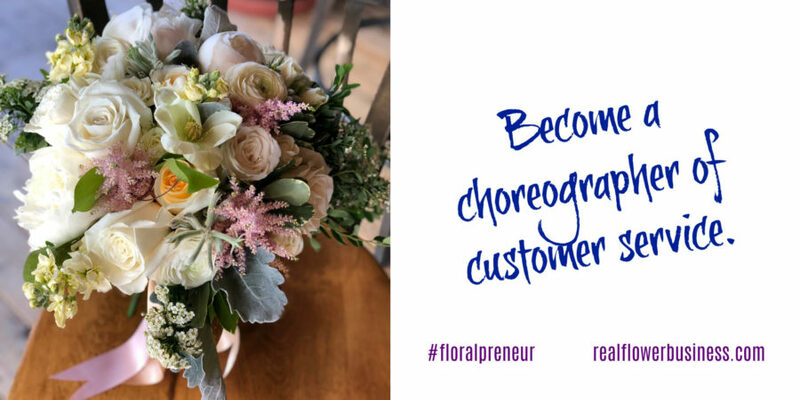 After 24 years in the floral industry, I’m really proud to offer online business courses for florists and 1:1 strategy sessions where I coach floralpreneurs who want to discuss their next move in biz. If you’re looking for some business shortcuts or you need to level-up, you’ll find a full list of my course offerings here. Pro Tip: If you can’t invest money, then invest your time! You’ll find a list of all my free course here. Many florists work alone at least part of the time, but the truth is, you’re not alone! There are a lot of us out here, working away on the weekends and holidays, sometimes late into the evenings, too….so even though you may be “alone”, there’s a floral army out there with you! One of the smartest things I did was make some Flower Friends. Having someone who understands the unique pressures of running a floral business to bounce ideas off of and engage in thoughtful business discussions is a huge part of what makes me a better business owner. Over time, I’ve sought out community by attending workshops and conferences, and I even created a community of my own over on Facebook! So there ya have it! 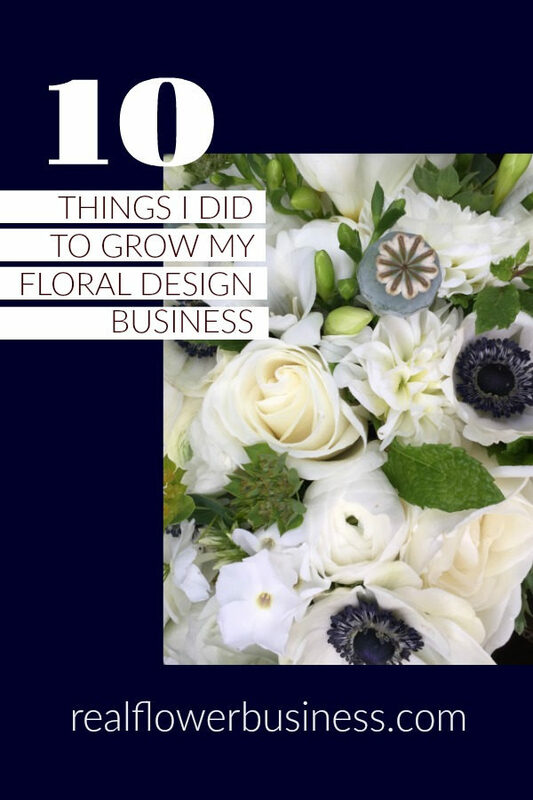 10 things I did to grow my biz…. I hope you’ll take away a few tips that can inspire you on your floral journey. If you dig this post please share it, pin it and leave a comment if ya like! Everything I create is made with love from me to you.